For those of you that were indifferent toward Wayne Gratz’s specialty project Sleepy Baby Suite, you will be very happy to know that he has returned to his stellar but conservative expressive form. Soul to Soul much like A Place Called Home is a triumph without overindulging the listening with the obvious cliches of the acoustic genre. Once again Gratz has decided to do this independently without any label backing. 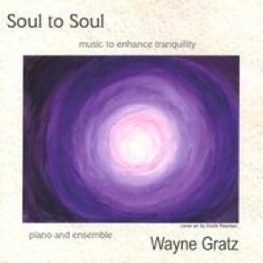 As a result there is no corporate pressure with Wayne Gratz doing what he does best; sharing his musical soul. The album opens with the composition “Arise” that includes breathy synthesizers allowing the listener to realize that they are in for something very special. Although this may be the most embellished song on the album the title track comes a close second. The melody is hauntingly beautiful and is rounded out with some very light percussion work countered with some soft swirling synthesizer all without distracting one from the other. 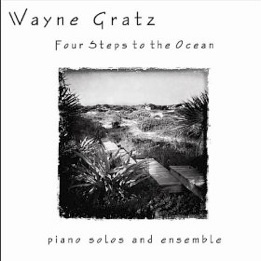 It has all the trademarks of the fine balance that Wayne Gratz brings to his music. “Talk To The Heavens” and “A Search For Certainty” follow similar paths less the percussion, yet with the same outstanding results. 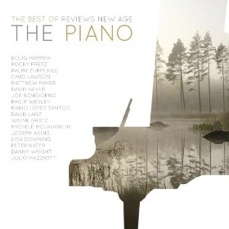 Nevertheless, Gratz is equally at home with the more desolate yet uplifting approach of the artist and his piano. Check out the almost regal and conservative “Quietude” or the naked “Gravity”. Perhaps the pensive and moody classical approach of “The Trill Of Life” and the “Traveler” are more your cup of tea. Whatever your taste may be there is an abundance of good music brewing further enhanced by crystal clear production. When you account for his original material, this will be Gratz’s ninth album and once again he has created a project that is delicate and delightful without sounding dense and demanding. An independent release with no corporate pressure, Gratz is able to express the inner being of his musical soul. As a result, the spirit of Soul to Soul is one of Wayne Gratz’ most engaging and endearing albums to date.